This sounds like a decent read Pete, even if it wasn’t as good as Ludwika. This book sounds good. 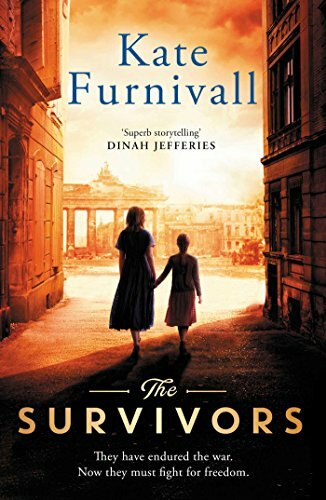 I just read “We Were the Lucky Ones,” which is based on a real family and mainly set in Poland during the German and Russian occupation. It was excellent. It sacrifices much at the end, making the last part feel rather unconvincing. I’m fairly satisfied with just having read “Schindler’s List” (and having seen the film when it first came out). This is about a different type of camp of course, but the idea is much the same. Same thing with Goodreads Pete. They also have book recommendations because it is owned by Amazon. I maintain my online library there. A good site to look for books which are newly published. So had did it compare with Ludwika? ‘Ludwika’ was much better, in my opinion, perhaps because being based on fact, it felt ‘real’. Far too much of the closing stages of this book scream ‘happy ending’. I can see this book working better as a film or TV series perhaps, but still gave it four stars on Amazon, as I did enjoy the descriptive writing. Yes, ‘Atonement’ was very irritating, I agree. Yes I’d already read that to see where the happy ending was in the movie as I didn’t think it was any bit happy at all. It sounds like a difficult book to transfer to screen though. Films are mostly a disappointment when you’ve read the book first I think. Ah, but that’s an insult to original art and creativity!? ?